Another designer tried my mosfet compressor using a darlington pair as the gain stage device Q1. He described some improvements in performance – so I tried this as well. I love it! Using a darlington such as a MPSA14 (or a homemade one) is a drop in replacement for the MOSFET Q1. It gives a little more gain and reduces noise in the control loop slightly (allowing more freedom in changing and or eliminating C7, c8, C9). I definitely can reccomend it. Here is a link to the expresspcb layout for this compressor. If you are not familiar with expresspcb look it up. They provide a layout tool and it is very easy to use and you can get boards manufactured for $60.00 and get them in less than a week. 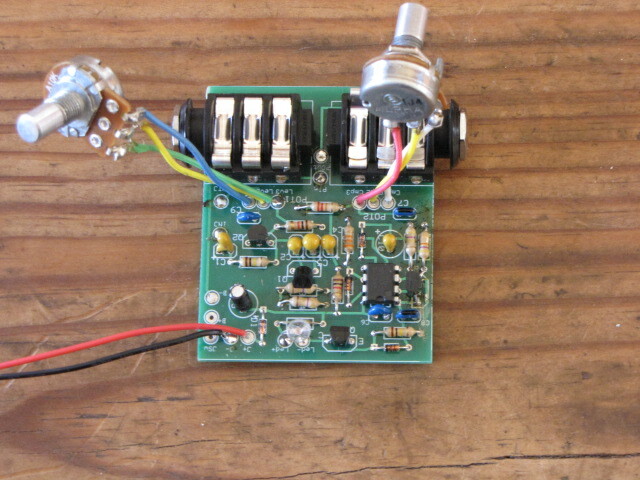 This particular board layout uses PCB mounted jacks that are arranged to exactly fit in 1590B type stomp box. You can easily remove these jack footprints from the layout and shrink the board, modify, etc. Here is the “final schematic” that matches the layout. 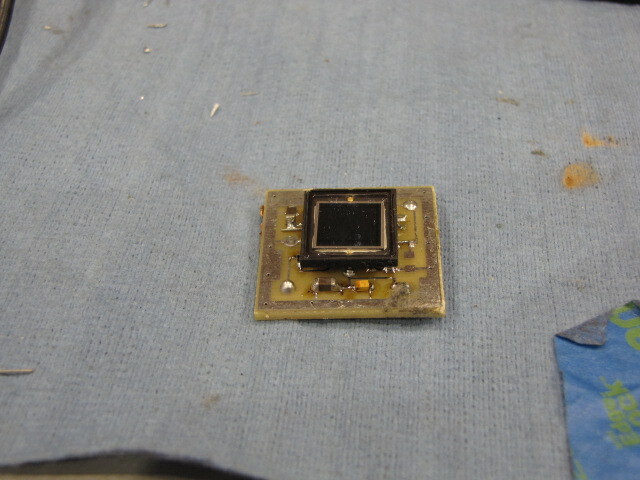 This version is using the LM358. Note: using 22k for R6, 270pf for c8 and 270pf for c7 will give a faster attack – which might be preferable.